Our vacation home consists of comfortable, Frisian style holiday apartments. They have a living room / bedroom and a separate bedroom. A terrace, garden, covered wicker beach chair and garden furniture are also included. 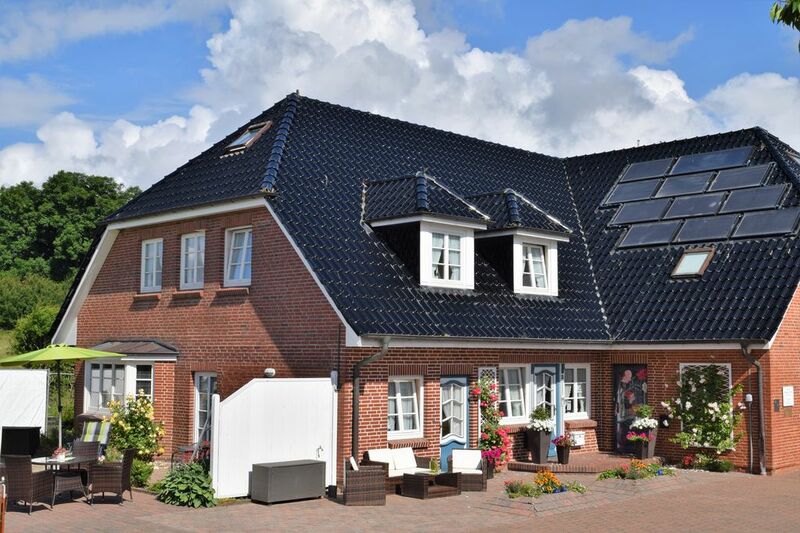 Die Ferienwohnungen sind sehr sauber und schick eingerichtet. Unsere Kinder waren durch die tollen Angebote ständig beschäftigt und wir konnten uns eine kleine Auszeit nehmen. The North Sea resort of Dagebüll is a rustic, idyllic harbor town located on the coast. It offers peace, quiet and pure relaxation on the beaches of the North Sea.